Commissioning a parking garage is a big hurdle, but once the garage opens many owners think the responsibility ends there, ignoring maintenance of the exhaust system and mandatory annual sensor calibration. The general public is at risk when this maintenance is ignored. 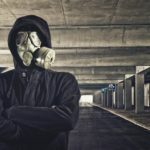 People using the parking garage, including tenants, retail establishments, and restaurants who’re connected to the garage, can all be negatively affected by the pollution and contaminants of the neglected parking garage. One garage employee operating a local San Jose area parking garage and responsible for the exhaust system was misinformed, or not informed at all. When we asked him about the exhaust fans in the parking garage, he commented that he turned them off and only turns on these fans when it is hot out. Bad air quality can occur in any temperature. The fans are meant to assure clean breathable air in the garage. Automobile exhaust is very dangerous to people. Some components of exhaust are invisible, colorless, odorless, and tasteless, but deadly – that main deadly component is Carbon Monoxide (CO). This is extremely toxic, and it affects its victims in such a way that they may fail to recognize the dangers until it’s too late! Just 0.02 percent CO concentration in the air during a four-hour exposure period, and it can cause severe effects such as nausea, dizziness, headaches, and impaired judgment. In a parking garage Carbon Monoxide, can build up quickly! The other components can potentially cause lung ailments and even cancer. For public safety reasons property managers, owners, parking garage employees and occupants (residential and commercial) should be aware that these sensors should be calibrated once a year and the motor and fans should also be serviced twice a year to make ensure proper operation. If occupants are concerned, then they should contact the management, especially if signs of Carbon Monoxide are present. 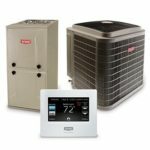 A wireless CO detector would be helpful if there is a concern. 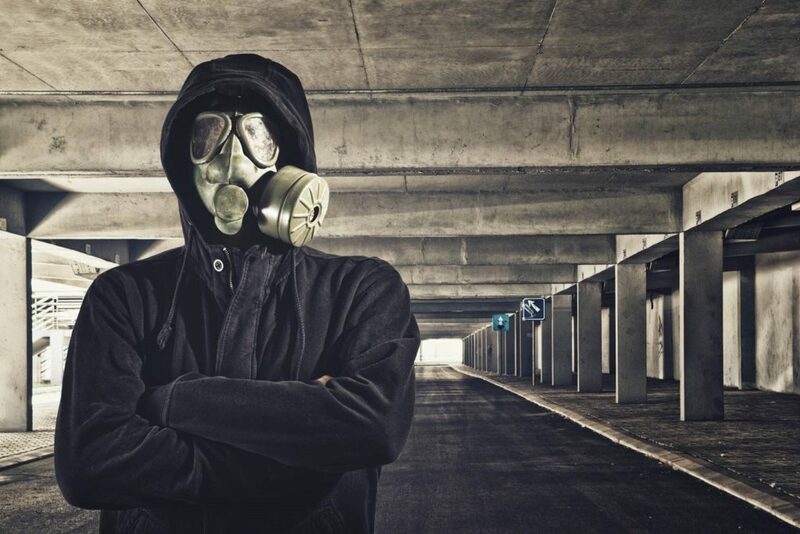 These gasses, especially if there is inadequate ventilation, can find their way into the residential and commercial structures attached to the parking garage. What should a facility with a parking garage do? Add a zoning system with CO sensors. Zoning allows multiple sensors mounted within an area into a single zone. Sensors detect the gas and then activates the ventilation system to rid the area of a harmful situation. This system can also detect where the (CO) Carbon Monoxide is building. The fan operation of the system for that area will turn on opening the vents to release the CO. Depending on the PPM level (Parts Per Million), if the CO levels reach 50 PPM, the low speed fans are activated, and if the saturation of CO reaches 150 PPM and above, the high-speed ventilation fans are activated for about 15 minutes. This should allow the air in that area to be at a safer level for the people walking or working in the garage area. 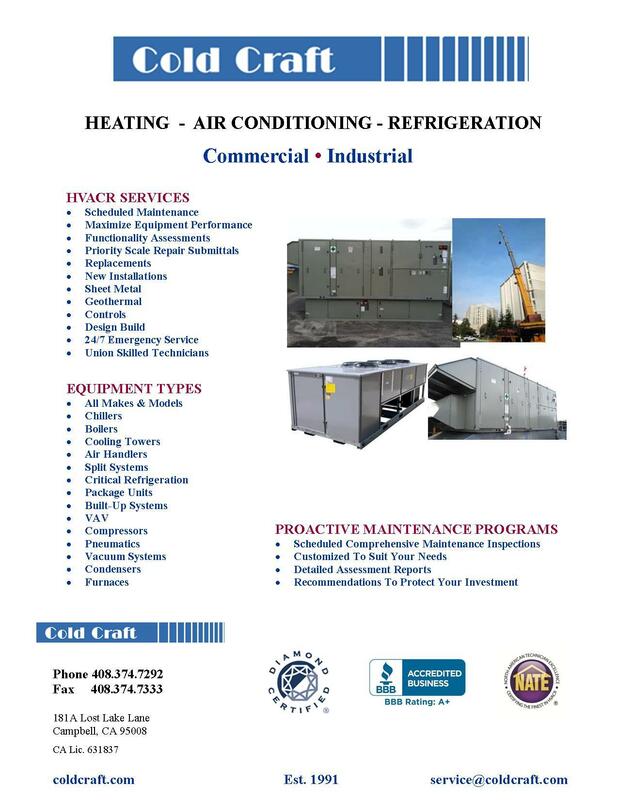 Don’t allow anyone to fall victim to this “Silent Killer.” When looking for an HVAC Maintenance Agreement, the garage area for this area should be added to your Maintenance Contract. Are you covered from the risk of a silent killer? Don’t be a victim – take precautionary measures and make sure your sensors, motors and fans are functioning properly. For a trained and experienced company to help you with your carbon monoxide in the Silicon Valley area, call Cold Craft at 408.374.7292 or email info@coldcraft.com. Is the Parking Garage You Park in Daily, Maintained for Safety?